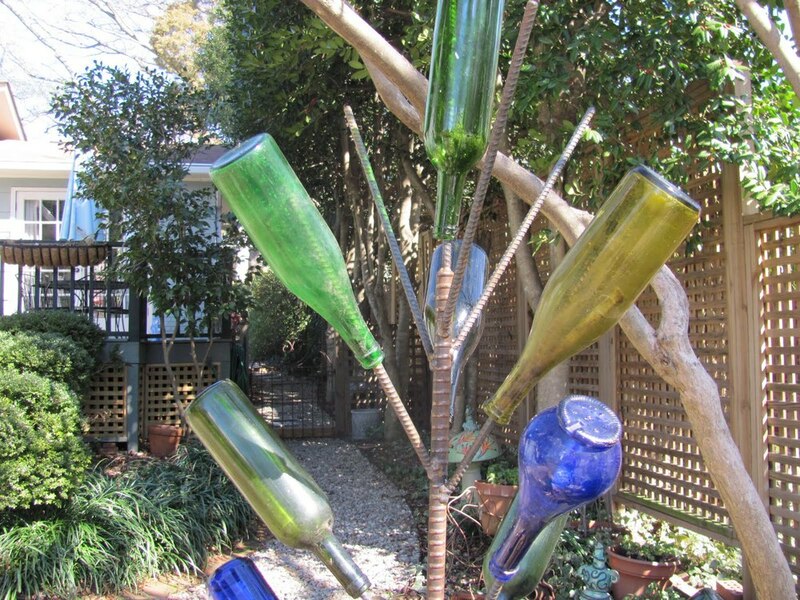 This is my new Bottle Tree! I've always loved these wonderful outdoor pieces. When the light hits the blue and green bottles, it is truly beautiful. Thank you Andy!! Chris actually drove it over in a friends truck, the tree standing straight up...minus the bottles! The plan is to garden all around the tree. I can't wait. I encourage garden art for many reasons, one of which it pulls you outside. A great place to be!